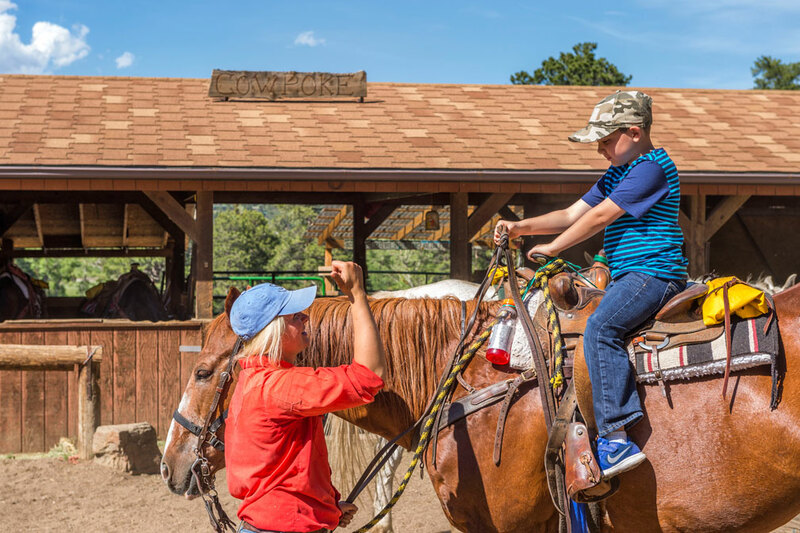 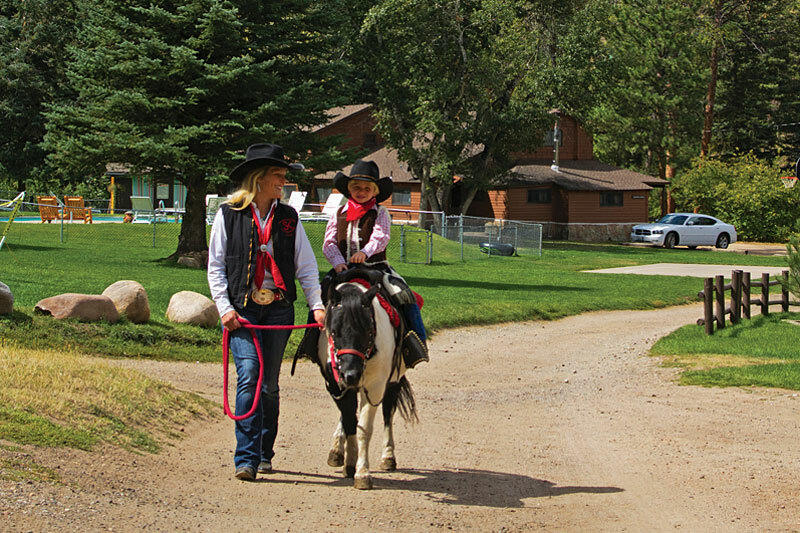 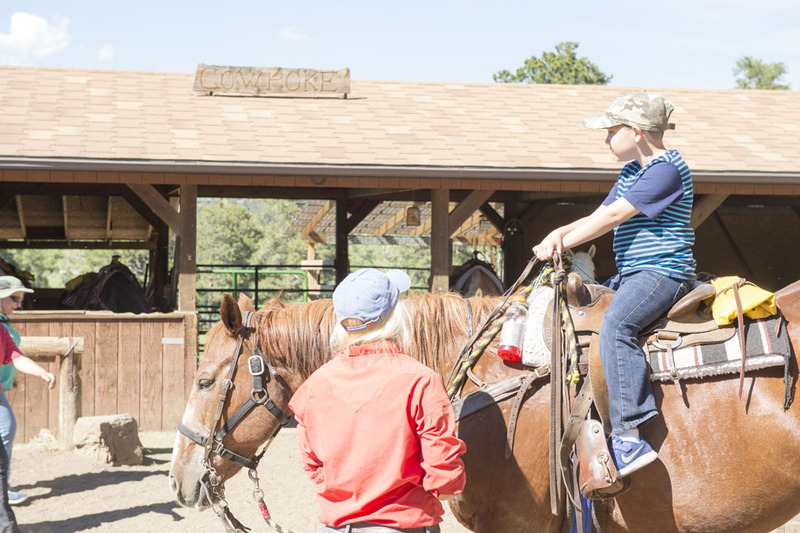 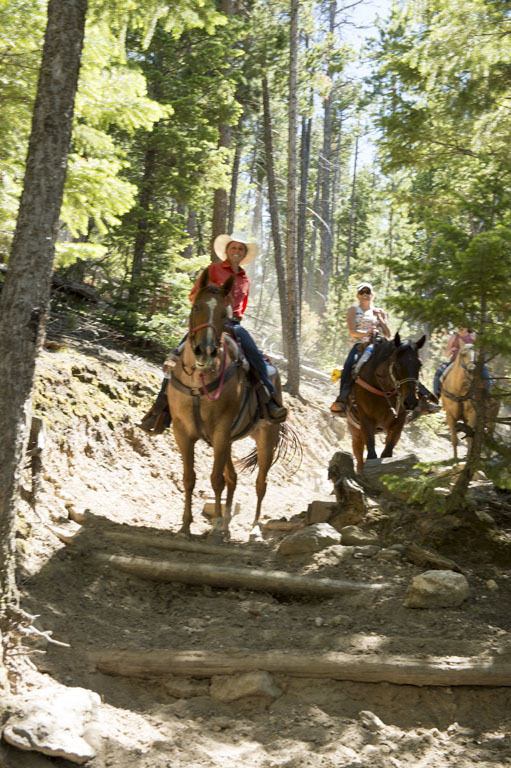 The one hour ride is geared for small preschool aged kids or people just wanting a brief taste of a horseback ride. 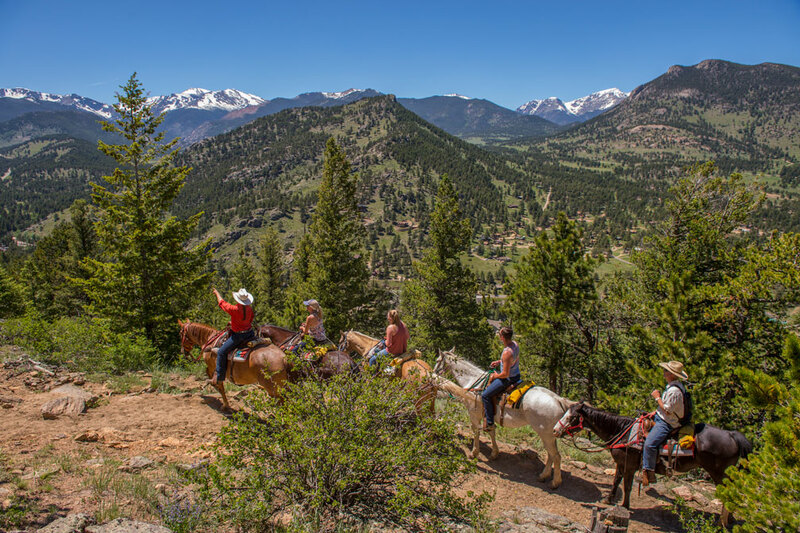 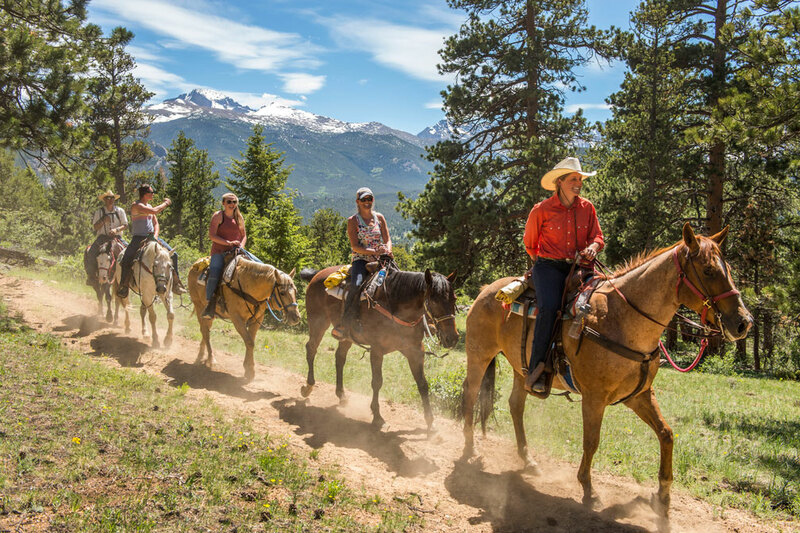 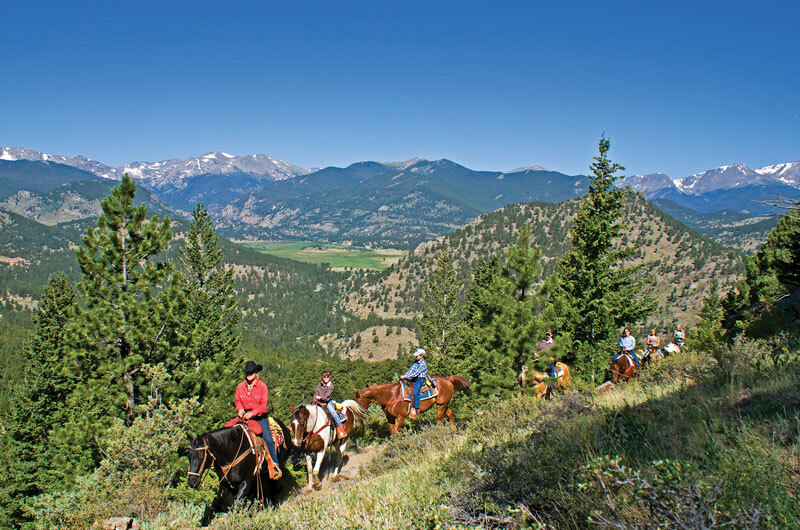 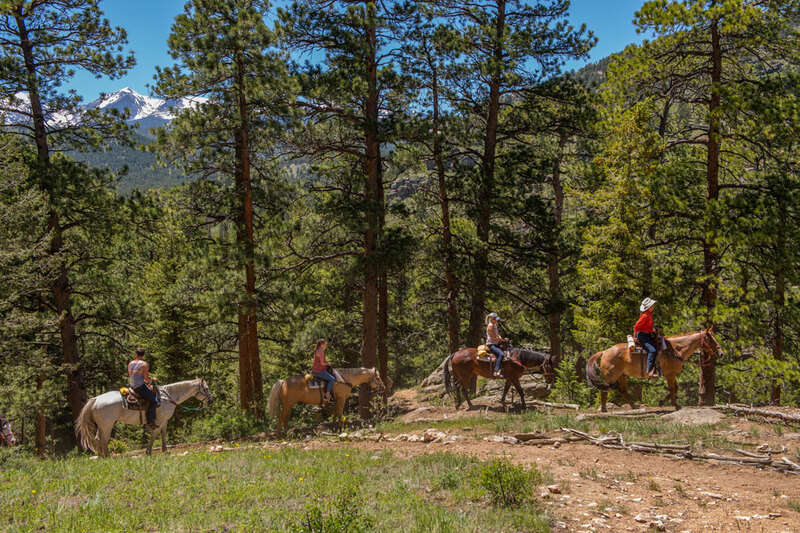 Views of the Estes valley and a glimpse of the snowcapped mountains are seen on this tour. 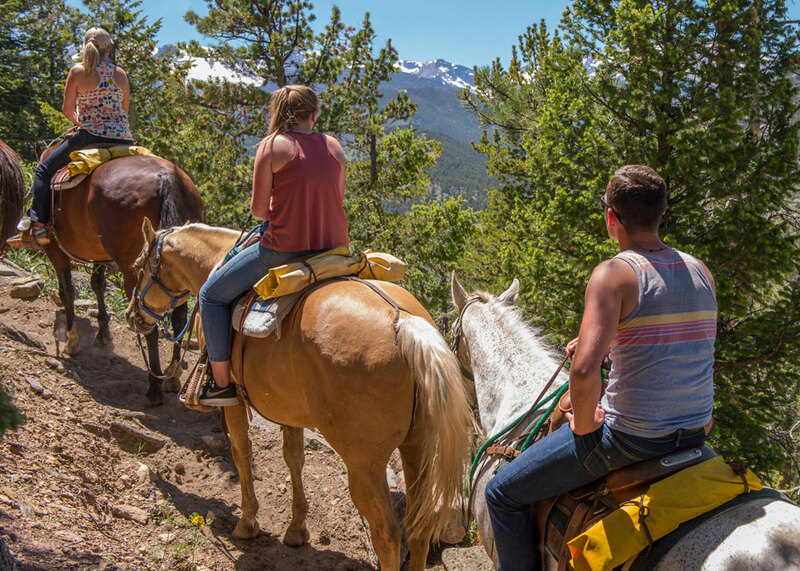 Our 1 1/2 hour ride is a popular ride for those wanting to get higher up the mountain but don't quite have time for 2 hours. 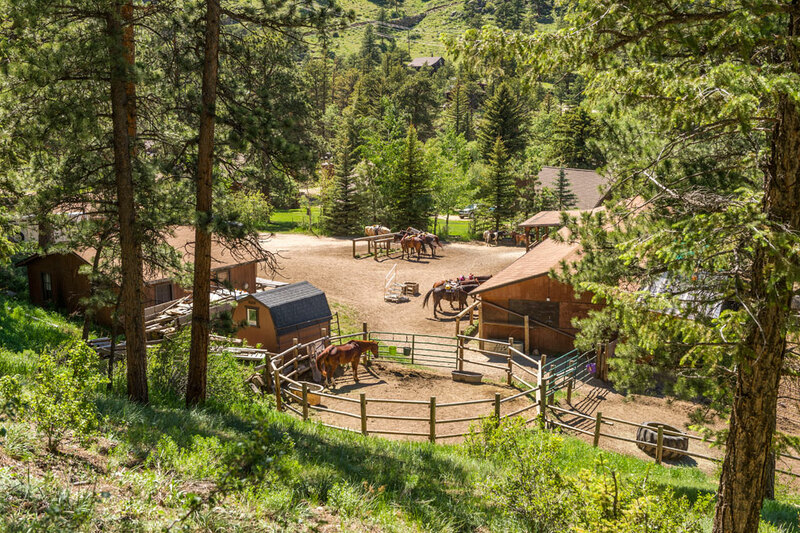 This is a favorite compromise for limited budgets as well. 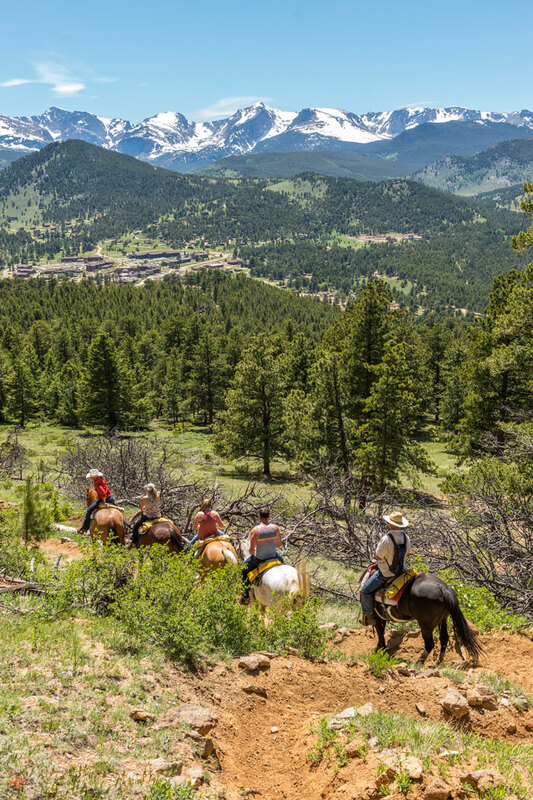 The 1 1/2 hour ride reaches our favorite overlook and picture spot of the Continental Divide. 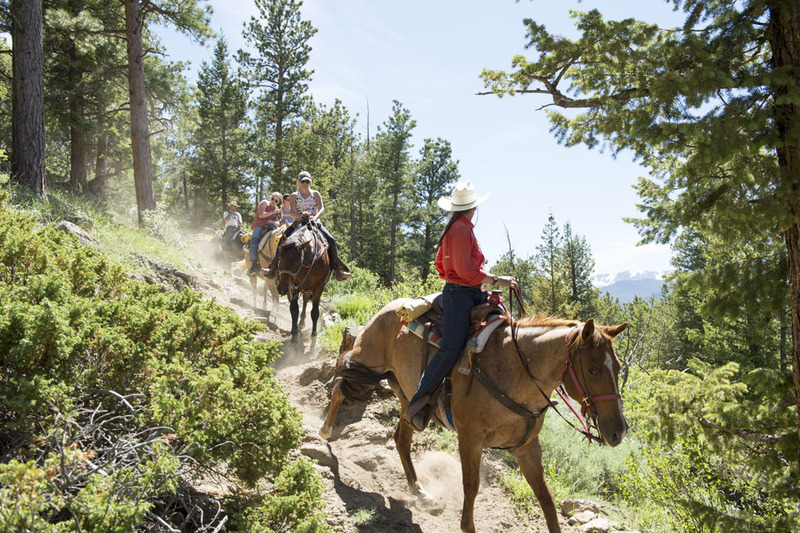 Our 2 hour ride is the most popular ride. 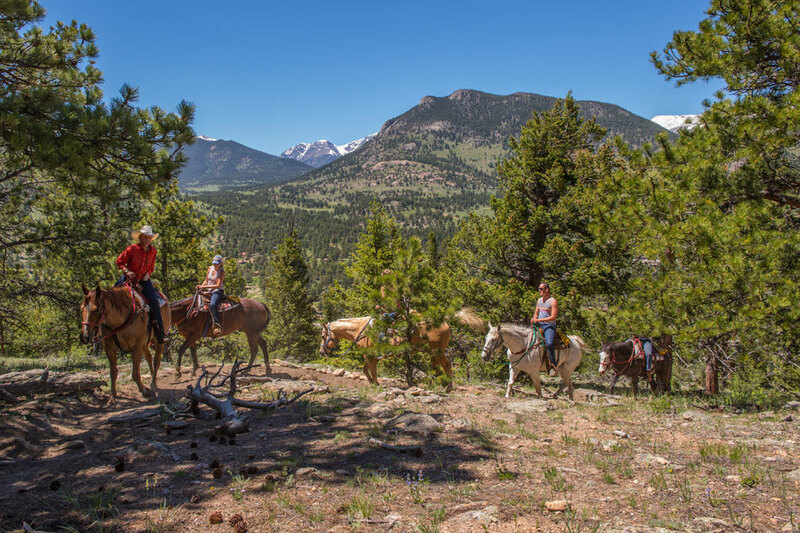 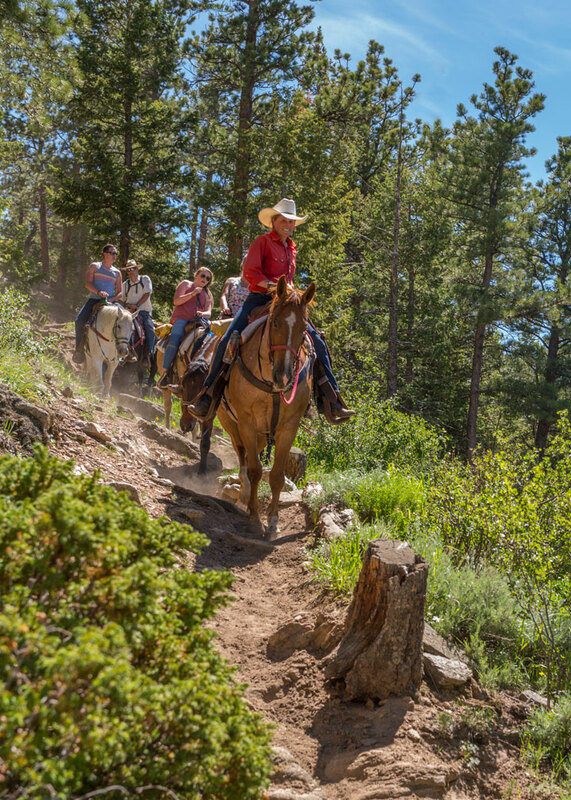 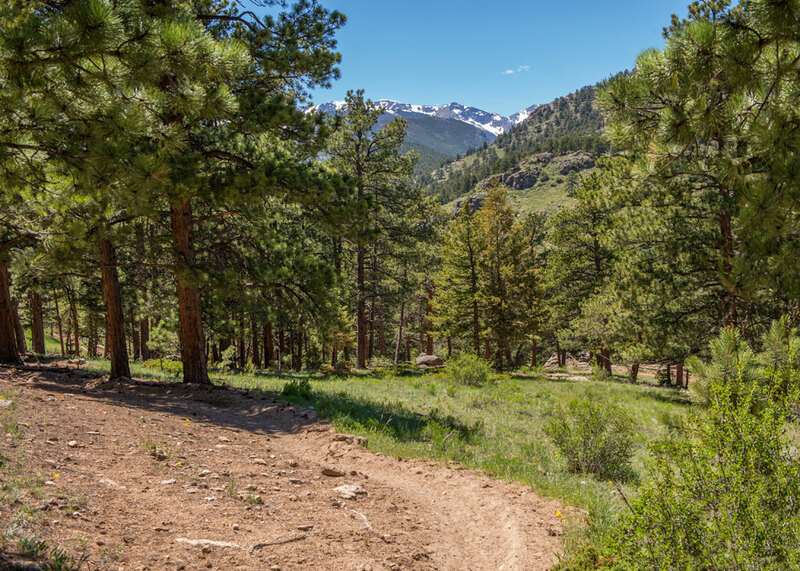 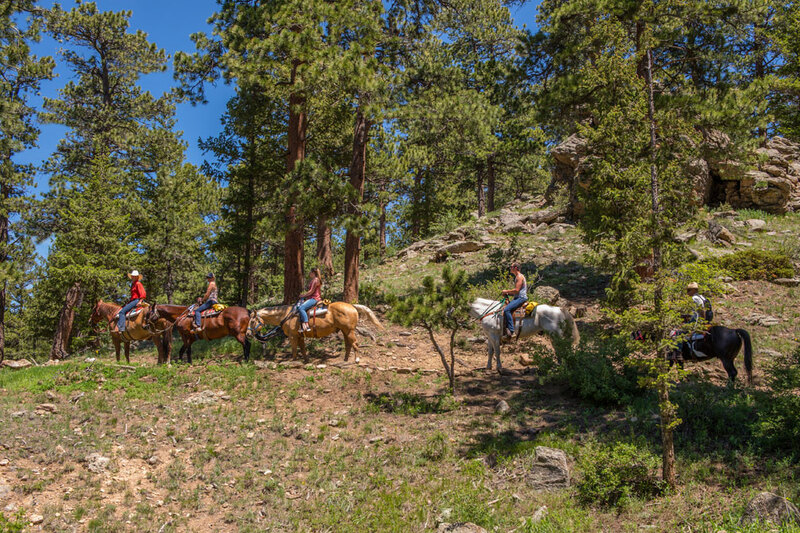 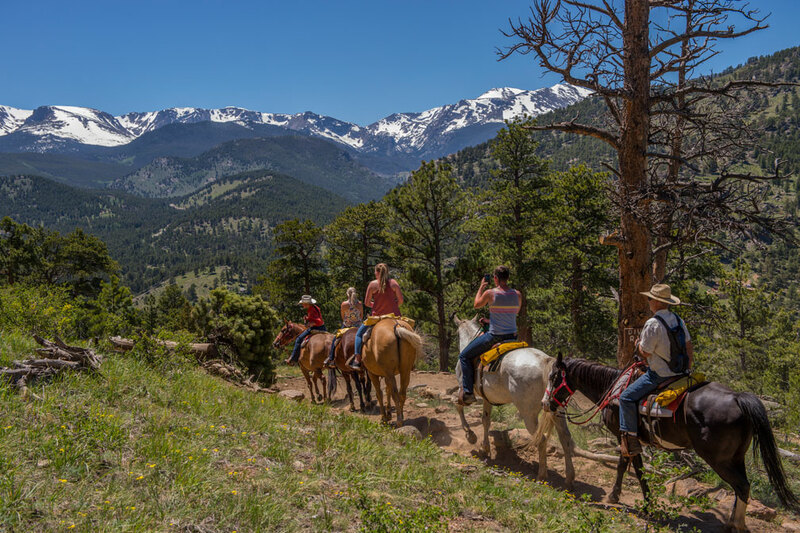 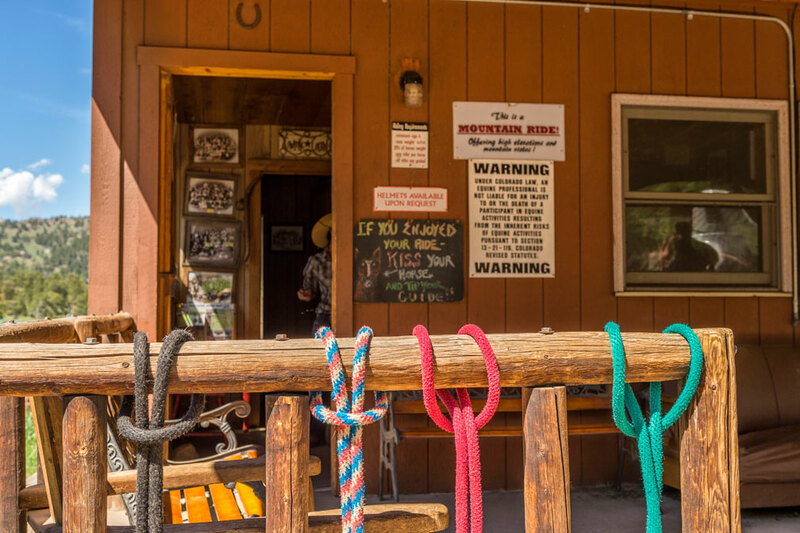 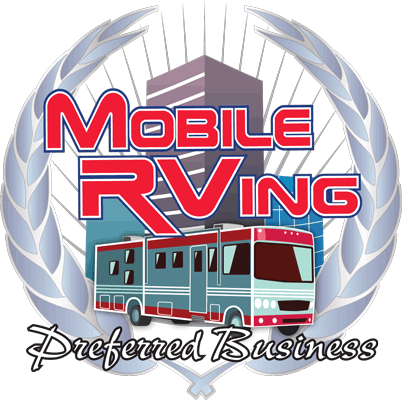 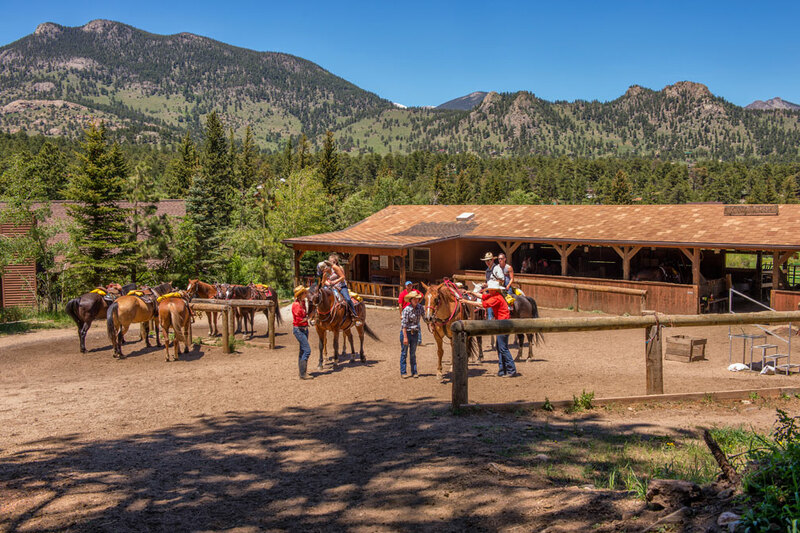 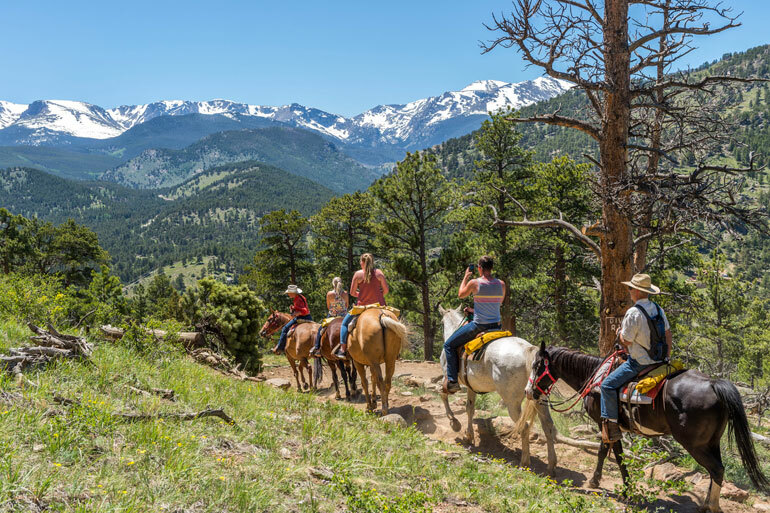 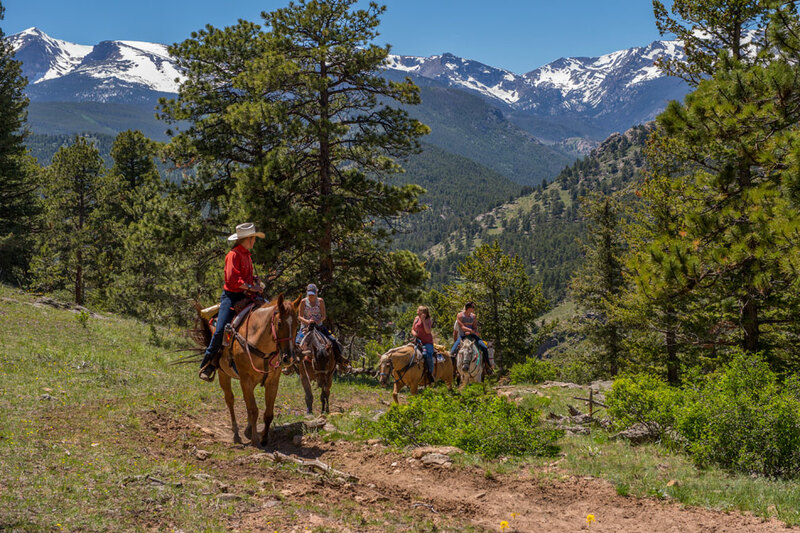 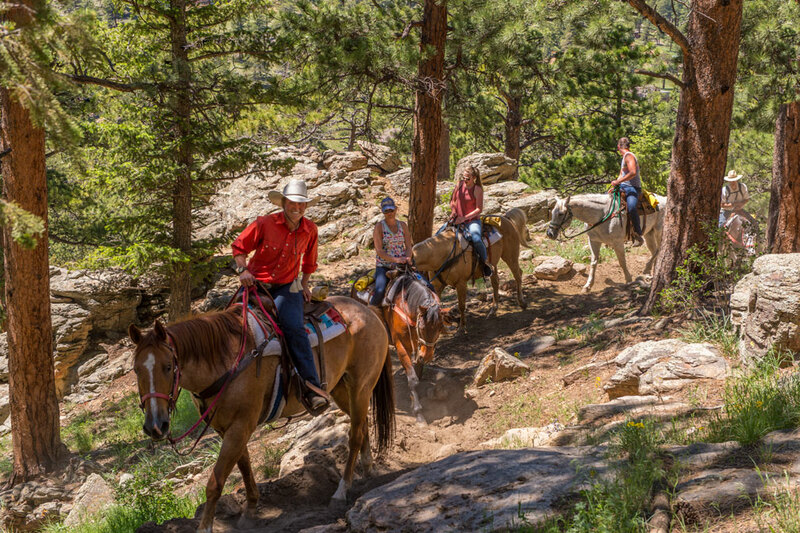 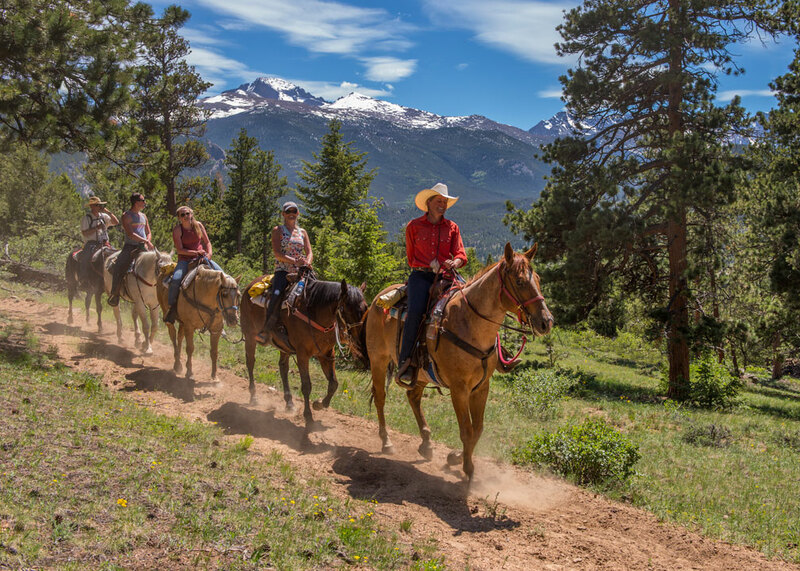 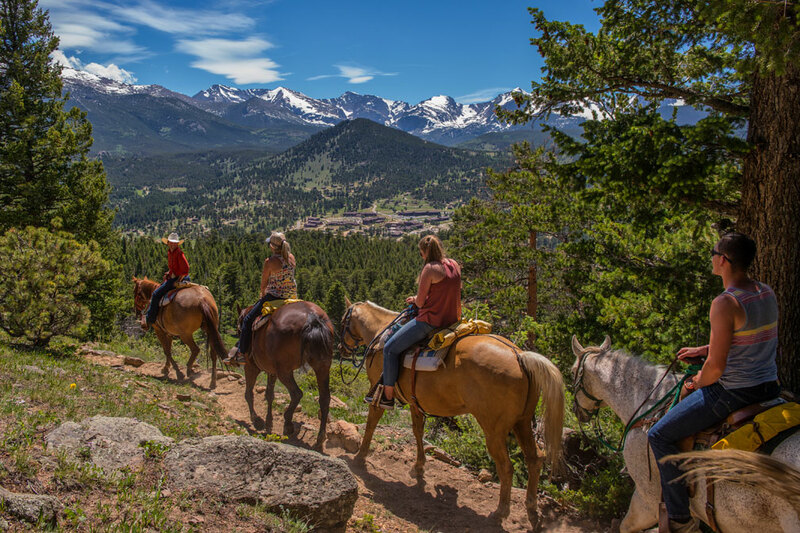 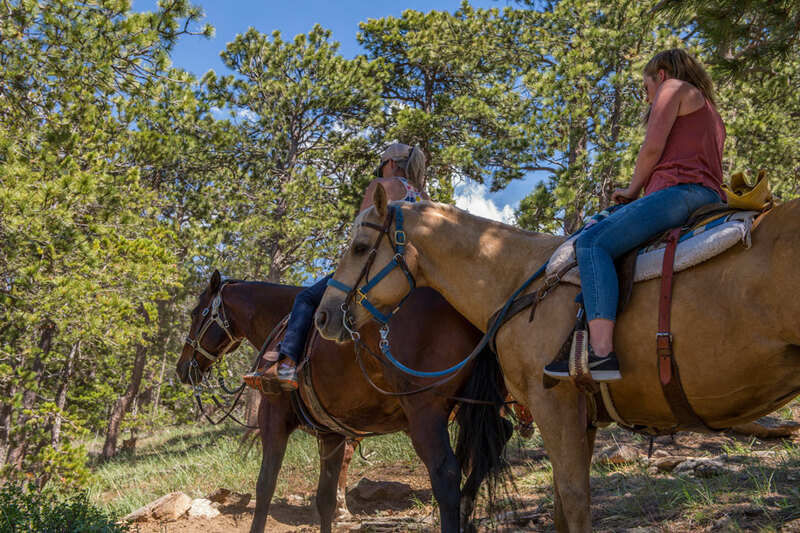 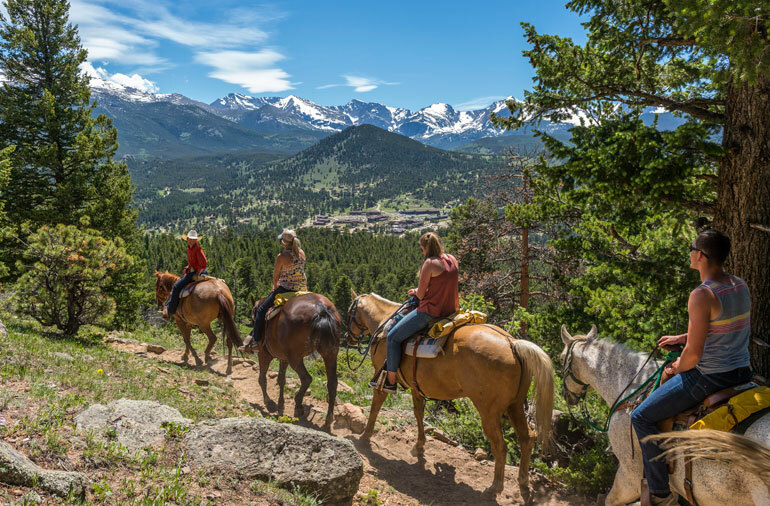 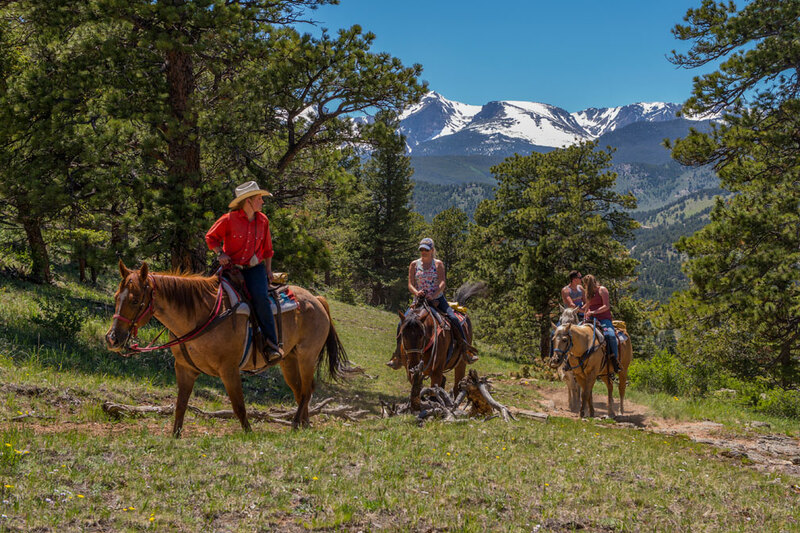 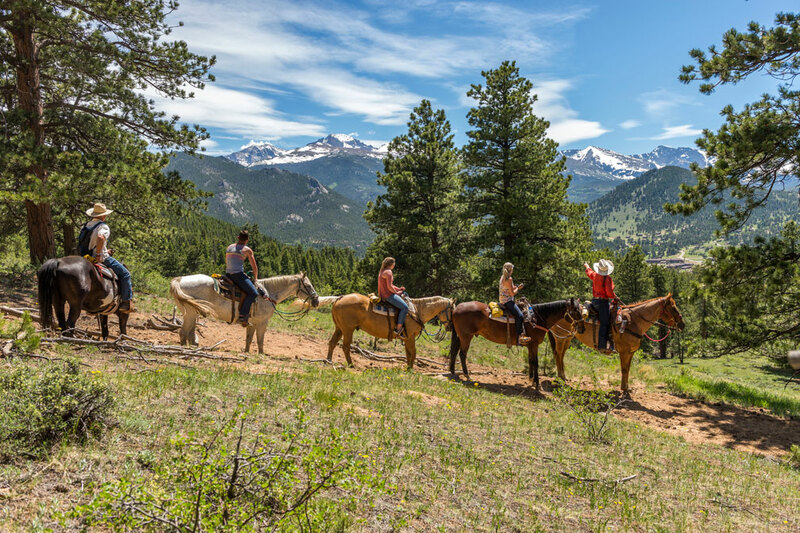 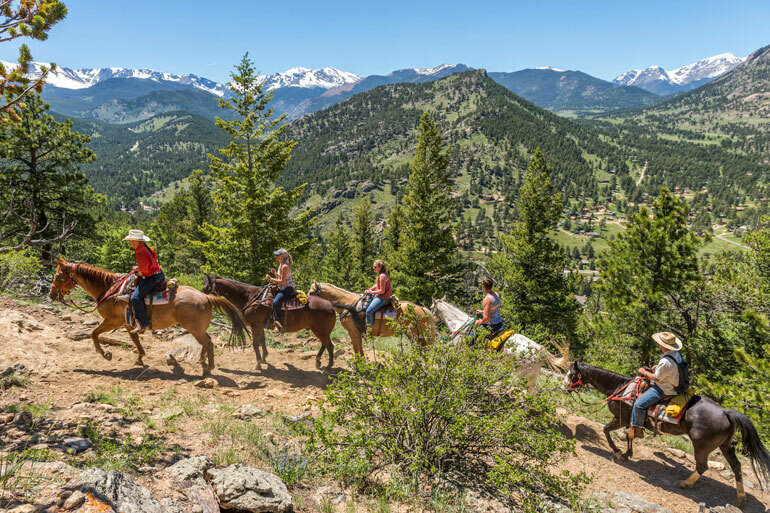 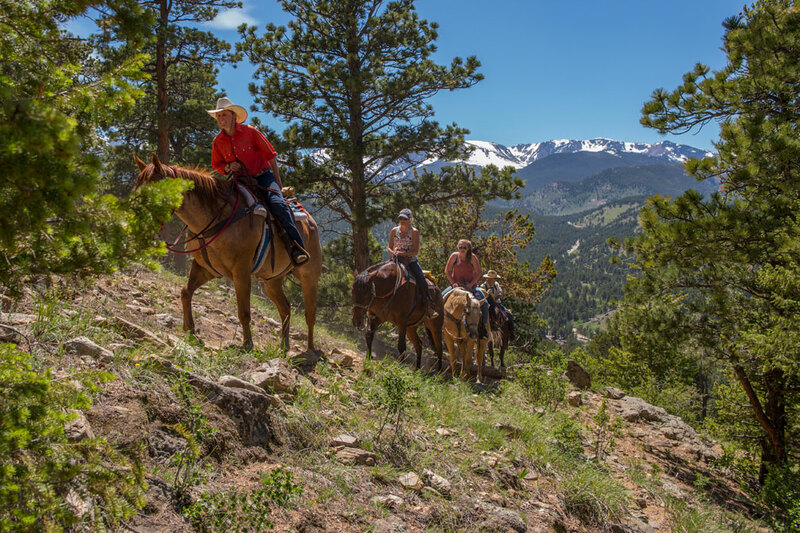 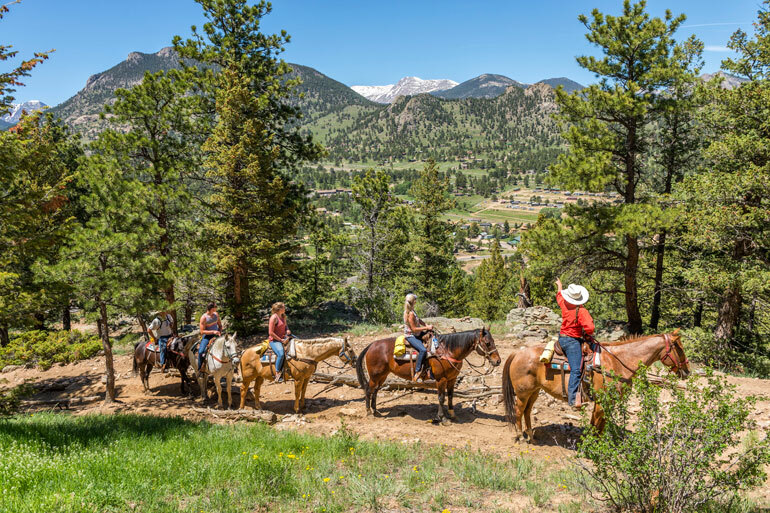 It is excellent for all ages attaining an elevation that affords an impressive overlook upon Rocky Mountain National Park, the Continental Divide, and the Estes valley.